kiki creates: a little green and a little blue. a little green and a little blue. This week has flown by! Thanks for celebrating green with me and hope it has helped you get some simple ideas for St. Patty's Day! I am guest posting today over at Simple As That. I have LOVED Rebecca's blog for a long time now, so it was a dream come true to be over there! There are 2 more fun simple craft projects for St. Patty's Day over there..and then stay and look at her blog for awhile...she really is amazing and has such fun ideas! 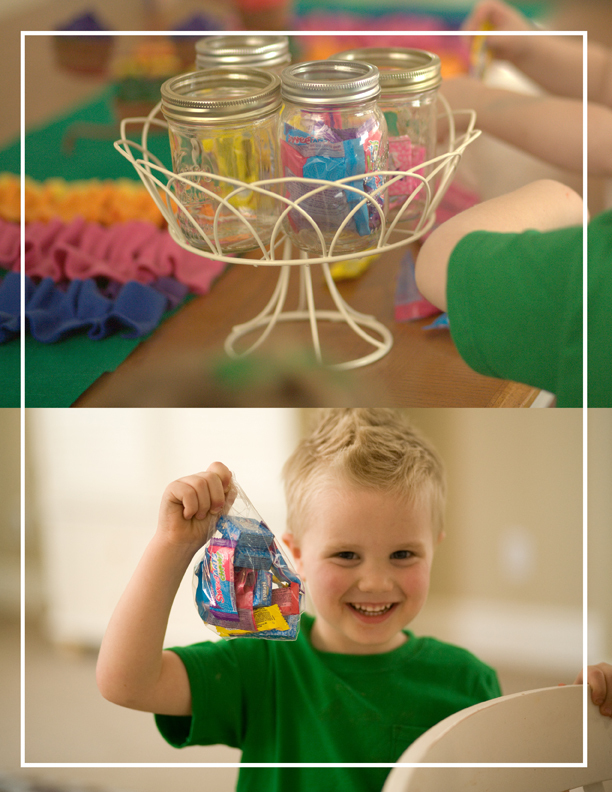 Today I had just 3 more quick ideas that I used for my little party. 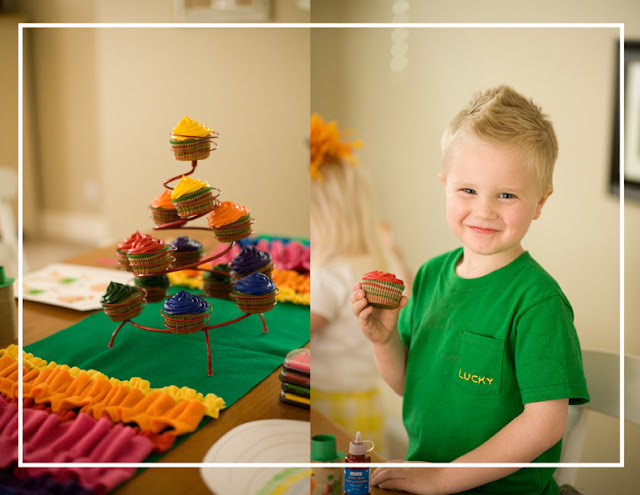 For an easy treat, I decorated cupcakes the color of the rainbow and then put them in order to showcase them. So simple, but love how they turned out. I also sewed some ruffles up, (I use ruffles a lot don't I?!) and stitched them on a green rectagular piece of felt to make a quick table runner..again in a rainbow! He loves it and is SUPER excited to go watch his real life superhero play! Are you cheering any team on this week? 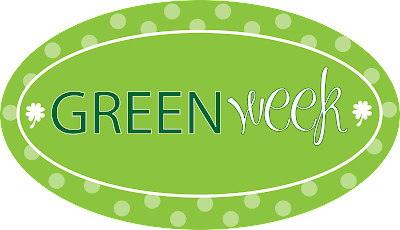 Remember you can still submit projects for tomorrow's feature on St. Patty's ideas. Email me at kikicreates at gmail dot com. My boys would love a jersey like that. Go Cougs! 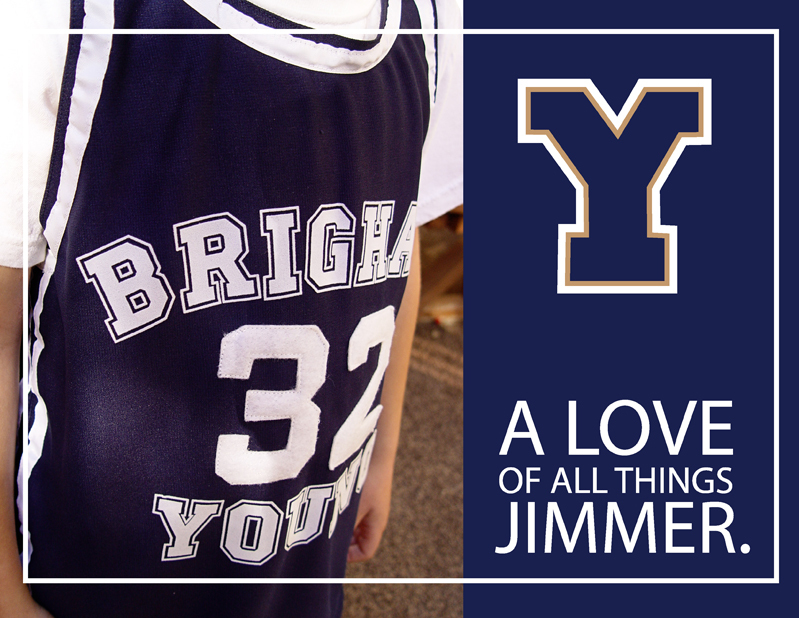 Here's hoping Jimmer and the Fredettes beat New Mexico tonight! I love the comment above . 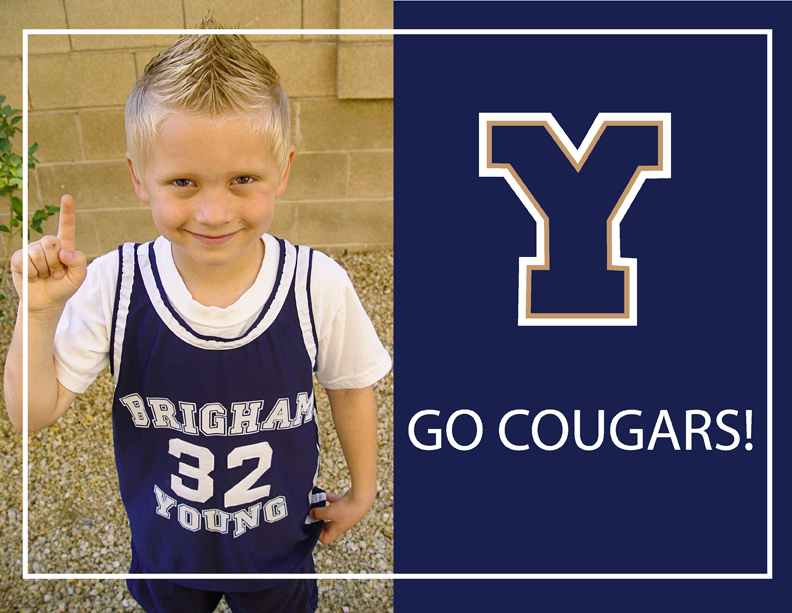 . . because my HUSBAND would love a jersey like that :-D Your little boy is precious--love the hairdo! I have a shirt that says I heart Jimmer! I hope they go to the Final 4 so I can see them play in Houston! And... how did you make that shirt? I want to make a little BYU dress for my toddler girl. Any chance for a quick tuti? LOVE the DIY jersey! Go COUGS!! Go Cougars! I need to do this one for my little boy. My husband would love it!